In skincare, inconvenience is a deal breaker. Why spend money on two different bottles of body wash and shampoo when you can get both in one product. Yes! You read that right and the tea tree hair and body moisturizer is a new option for you to explore. This hair and skin treatment product is very promising because we all know that tea tree is good for both our skin and hair. Read on to find out more about tea tree, its benefits and what hair and body moisturizers are available for you. Scientifically called as Melaleuca, world-renowned tea tree is popular for its powerful antiseptic and wound-healing properties. 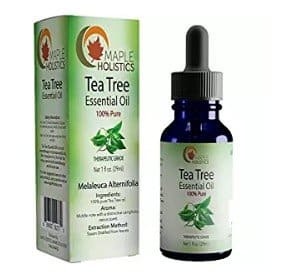 The tea tree oil is obtained mainly from the plant called Melaleuca Alternifolia found in Australia. It has already been widely used in Australia for the past century. In numerous studies and research, tea tree oil has proven to effectively fight bacteria, fungi, and viruses. To say that tea tree oil has a lot of uses would be an understatement. From homemade cleaning products and treating viral infections to one of the most used ingredients in cosmetic products—this essential oil can really do it all. It is definitely a medicine cabinet staple. Continue reading to find out what the specific benefits are of tea tree to our hair and body. Tea tree promotes a healthier and more glowing skin. It is not harsh to the skin thus it will not cause dryness, peeling or inflammation. If you ask any beauty expert or search on the internet about what the solution to acne really is, tea tree will definitely be one of the top answers. It is considered to be one of the most effective ways to fight pimples on any part of the face or body because of its anti-microbial property which goes deep into our pores and stops the toxins and clogging. In addition, it helps lessen inflammation and scars caused by acne. Another wonderful property of tea tree oil is that it is also a disinfectant which makes it effective in healing cuts and infections. It is non-poisonous too! It even became a go-to antiseptic for the Australian soldiers during the World War II. For best results, you can mix tea tree oil with honey to heal burns and reduce the scarring. Tea tree does not only promote healthy and glowing skin but healthy and glowing hair as well. It can help you solve your hair fall woes with just a few drops of it to a carrier oil, such as coconut or olive, then apply to your scalp. According to a published study from the Journal of Dermatological Sciences, experiments show that tea oil can indeed combat skin cancer because it has effectively reduced cancer tumors. 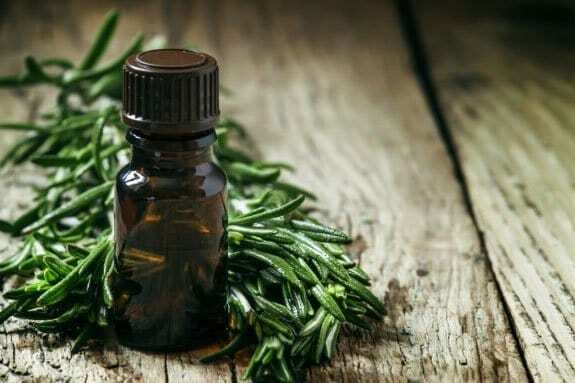 Tea tree oil is effective against skin diseases such as psoriasis, eczema and any kind of skin inflammation. For best results, mix tea tree oil with a little amount of coconut oil. Cleaning your hair is requires more than just washing it every day with shampoo and water. To soothe your dry scalp and cleanse your hair at the same time, massage a few drops of tea tree oil mixed with coconut and lavender oil into your scalp to open clogged pores. It also acts as a conditioner that will leave your hair silky and smooth. Having dandruff on your hair is just the worst, right? Not only do they leave a trail of white flakes into your black clothes but they can also cause pimples. Thank god for tea tree oil! Tea tree can definitely help in removing dandruff. Just add a few drops into your favorite shampoo and watch it do its magic. Those are just some of the most popular uses of tea tree oil. Learn more about the benefits of tea tree oil here. 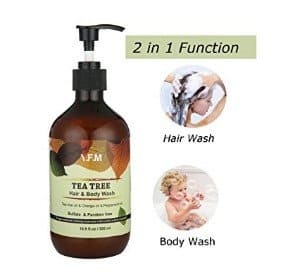 Since we have established that tea tree works great for both the hair and the body, then what could be better than having one product that works on both? Tea tree hair and body moisturizers are really making a name in the skin care and cosmetics industry. Imagine having a moisturizer product that can be used for skin and hair! Without further ado, we give you the best tea tree hair and body moisturizer. 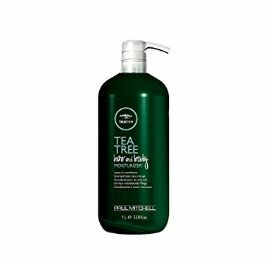 The Tea Tree Hair and Body Moisturizer by Paul Mitchell is one of the most popular brands there is today. Read more about the product here. Paul Mitchell is a skincare brand that specializes in products that contain essential oils, botanical extracts, and aroma-therapeutic ingredients. This product is definitely a must try, get it here. 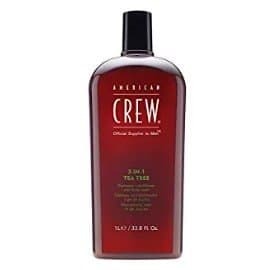 The 3-in-1 tea tree hair and body moisturizer from American brand specifically made for men, American Crew, is a shampoo, conditioner and body wash all rolled into one proudly made from tea tree. It promises to cleanse and condition your hair and skin. It is available through this link. The tea tree hair and body moisturizer shower travel pack from Dr. Bronner’s is perfect for your next getaway! 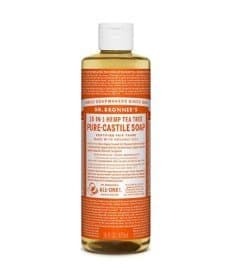 This liquid soap is great for treating acne and dandruff. The brand boasts of their renowned soap products because they are of quality, eco-friendly and completely organic. Their liquid soaps are three times more concentrated than most so-called “liquid soaps” on the market, which makes them environmentally and economically responsible. 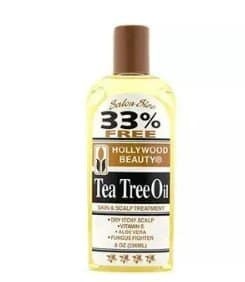 The natural oil ingredients from Hollywood Beauty’s tea tree hair and body moisturizer is good for treating mild cases of anhydrosis or dry skin. These natural oil ingredients include tea tree, Aloe Vera and more plus vitamin e! The tea tree oil skin and scalp treatment will definitely leave your hair and body soft and healthy. LuckyFine’s tea tree hair and body moisturizer is an effective antifungal treatment for the hair and body against body odor, eczema, dandruff and more. This LuckyFine product is a powerful combination of tea tree, lemon oil and peppermint oil which are all known for their numerous benefits. It won’t hurt to stock up on the tea tree essential oil. Undiluted tea tree oil can be a part of your skincare routine, whether applied directly to the skin or mixed with another substance, aside from using the tea tree hair and body moisturizer. The tea tree oil from Maple Holistics was steamed from fresh tea tree leaves. Along the use of the above-mentioned variants of tea tree hair and body moisturizer, it is imperative to practice proper hair and body care routine. Let us help you with that. There is quite a bit of advice and numerous guides in taking care of one’s hair. Of course, everyone likes to achieve that naturally beautiful and healthy hair. The first step to hair-care is diet and you can’t cheat your way out of that one. As the saying goes, you are what you eat. Here are some other practices if you want to up your hair-care game. Conditioning your hair every day when you take a bath is different from deep conditioning. You basically do the same thing when you condition and deep condition but the results are way better with the latter than the former. You can deep condition your hair or do DIY essential oil treatments (see argan oil hair treatment) every once in a while. This is good for your hair to keep it moisturized. We bet that you already know this, too much heat is bad for the hair. As much as possible, using hair treating appliances such as curlers and irons are discouraged. But if you really need to, apply products that will protect your hair from heat exposure. Another way to take care of your hair is to make use of hair masks. There are hair masks you can buy at drugstores but making your own hair masks is way better. Some of these home-made hair masks may be too delicious to eat! Yes, you can find the ingredients in your own kitchen. One home-made hair mask you can craft out of your own kitchen is made out of egg, curd and mustard oil. Apparently, this is the answer to dry hair. Eggs are rich in vitamin A, B12, D, and E, fatty acids, and protein. The protein helps strengthen the roots, the fatty acids make it a natural hair conditioner and B12 helps add volume. Our skin protects us from the different harmful elements of the environment. Taking care of it is a big responsibility. Here are some of the skin care practices you should start doing. The sun is our source of Vitamin D but too much sun is just not healthy for the skin. Use protection from the heat such as wearing sun cream with an SPF that suits your skin type. Apply on a regular basis to get fully protected. Also, it is important to note what the hottest times of the day are to know when not to get sun exposure. We use soap every day but it is very important to know that some soaps are bad for the skin. Your body tends to dry out when you’re the soap you are using is not suited for your skin. That is why it is imperative to use gentle, chemical-free soap products for your everyday use. You can also take advantage of skin care products that are natural because they tend to have more benefits. We reviewed the top 10 best hypoallergenic soap for sensitive skin. Check it out. In case you didn’t know, a shower is more beneficial to the skin that taking a bath because taking showers tend to dehydrate the skin. Staying in the water too long is not good, notice that when you skin crumples from being in the water for a long period of time? Also, make sure that the water you shower with is lukewarm. Do you rub your body often with a towel right after you get out of the shower? Stop doing that! Aggressively rubbing your skin to dry is, in fact, harming your skin. Gently pat your skin instead such as your legs, arms chest and etc. Moisturizing is key to a beautiful skin. Use a moisturizing product that will work effectively for your skin type. All skin types need moisture. Keeping your skin moisturized every day will restore the hydrolipidic film that surrounds your epidermis. Know how to make homemade non-comedogenic moisturizer here. Another key factor to having a beautiful skin is water! Drink lots and lots of water, preferably 8 glasses a day. At the same time, a well-balanced meal is needed as well. Allow your body to enjoy all the nourishment that comes from eating fruits and vegetables. What you eat and drink will reflect on your physical appearance so eat clean! Much like clean eating and hydration, sleep is also very important if you want to achieve a great skin. Getting enough sleep means your skin gets the rest and regeneration that it needs. Last but not the least, quit smoking. Smoking is not just dangerous to your health but to your skin as well. Not to mention, it also puts the lives of those around you at risk. Smoking will leave your skin looking dull and will cause you to age faster. These tea tree hair and body moisturizers are indeed a good investment! If you are in the market looking for new skincare products to try then you should not miss these dual-purpose products that do not sacrifice the brand quality and its effects.